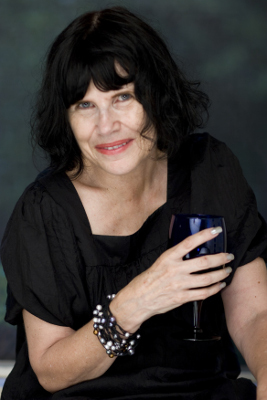 Suzanne Lummis’ poems have appeared in several noted literary journals and she has a poem forthcoming in The New Yorker. She’s included in the anthologies California Poetry from the Gold Rush to the Present, the Knopf “Everyman’s Poetry Library” anthologies, Poems of the American West, Poems of Murder and Mayhem, and the forthcoming Human and Inhuman Monstrous Verse. Her definitive essay on the poem noir appeared in New Mexico’s Malpais Review, for which she is California Correspondent, and in 2011 her organization The Los Angeles Poetry Festival produced a 25-event, citywide series, “Night and the City: L.A. Noir in Poetry, Fiction and Film”. She is the editor of a sweeping new anthology of Los Angeles poets to be published by Beyond Baroque’s new imprint, The Pacific Coast Poetry Series, in fall of 2014.